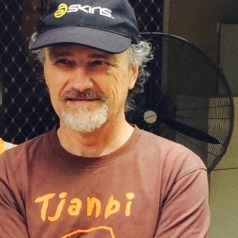 Ian McLean is the Hugh Ramsay Chair of Australian Art History and Acting-Head AIS (Australian Indigenous Studies) in the School of Culture and Communication at the University of Melbourne. He has published extensively on Australian art and particularly Aboriginal art. His books include Arte Indigena Contemporaneo en Australien, How Aborigines Invented the Idea of Contemporary Art, White Aborigines Identity Politics in Australian Art, and Art of Gordon Bennett (with a chapter by Gordon Bennett).